Hondurans who have immigrated from their Central American country are an integral part of many Hispanic communities in the United States. 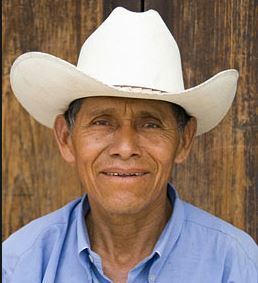 Ethnically, Hondurans are predominantly mestizo (mixed ancestry of Indigenous peoples and Spanish). The families of the majority of Hondurans have entered the United States in the last 40 years to seek better economic opportunities and to escape political turmoil or oppression in Honduras. Many left their families in Honduras and regularly send a large part of their income home to support them. Many are migrant farm laborers, and because of the conditions of their migration, may not have documented status in the United States. Hondurans have primarily settled first in cities with support networks of already established Honduran communities. The main staple of the mestizo Honduran diet is rice and beans. Other mainstays include corn soup; tripe soup in a tomato base with corn; and corn pie stuffed with chicken, olives, and capers, among other ingredients. Their primary language is Spanish. An overwhelming majority of Hondurans are Catholic, although many immigrants in the United States are converting to Protestant Christianity. Pray for Honduran believers to boldly proclaim the gospel to their people wherever they may be found. Pray for Honduran believers to catch a vision for reaching other people groups, both around them, and around the world. Pray for more workers for the harvest, both for the Honduran in the United States as well as those in Central America.